Search sellers from around the world! RearCounter.com is a public auto parts locator. How does it work? Upload your parts inventory to RearCounter.com, where it is search engine optimized for sites like Google, Bing and Yahoo. 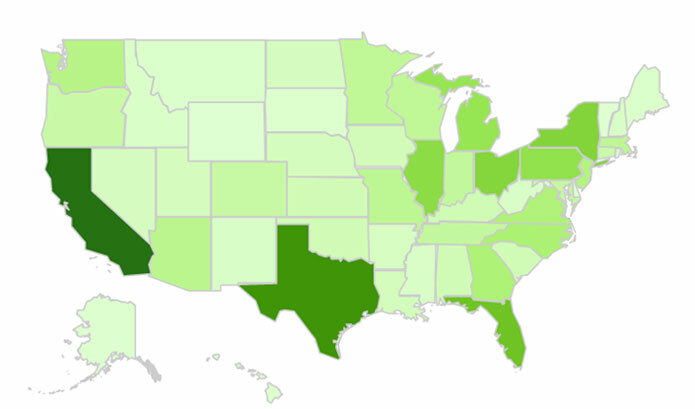 RearCounter.com receives visitors from all 50 states and 170 countries. Thank you for being one of them! Buyers have included small and large repair shops, body shops, multi-national corporations, hobbyists, US military around the world just to name a few. Sellers range from Automotive Dealerships, Heavy Truck Dealerships, Specialty Parts Warehouses, Parts Liquidators, and the list goes on. What are you waiting for? List your parts for free!